Jim Acosta to Trump: "Are You Letting the Saudis Get Away With Murdering a Journalist?" In America, at this point in time, there was probably no better person than CNN’s Jim Acosta to ask Donald Trump about his decision to conduct business as usual with the Saudi government and crown prince Mohammad bin Salman after the CIA concluded that bin Salman himself ordered the death of journalist Jamal Khashoggi. 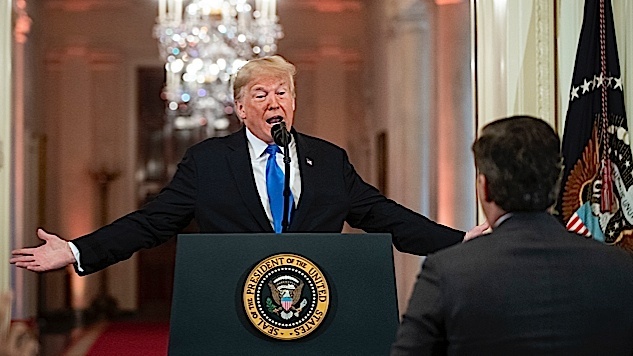 Acosta was recently barred from White House press conferences because Trump essentially didn’t like his questions, and even after being reinstated following a CNN lawsuit, Trump and co. are still trying to figure out ways to get rid of him. But, you see, the Saudis are about to invest $450 billion in America, with much of that going to weapons purchases so they can continue terrorizing countries like Yemen. Money, as always, is more important than ethics to this president and his administration.